Nowadays Chase issues three cards in their excellent Ink Business Card lineup — the Ink Business Preferred℠ Credit Card, Ink Business Cash℠ Credit Card, and Ink Business UnlimitedSM Credit Card. However, back in the day they also issued the Ink Bold and Ink Plus Cards, which were popular. While these cards are no longer open to new cardmembers, they’ve continued to honor the cards for those who have them. Perhaps more accurately, they converted anyone with the Ink Bold to the Ink Plus last year, so at this point those who used to have one of these cards have the Ink Plus. I’m often asked what I recommend people do with this card, so in this post wanted to address that. What is the Chase Ink Plus Card? The Chase Ink Bold and Chase Ink Plus were the premium Ink Cards that Chase used to issue. Chase stopped accepting applications for the Ink Bold in late 2014, and they stopped accepting applications for the Ink Plus in late 2016. At that point they instead started focusing on the new versions of the cards, as the discontinuation of the Ink Plus coincided with the introduction of the Ink Business Preferred℠ Credit Card. How does this compare to the new Chase Ink Cards? There are quite a few people who continue to hold onto the Ink Plus. If you’re one of those people who still has the card, should you keep it, or should you consider one of the other Ink Cards that are currently open to new cardmembers? What should you do if you have the Ink Plus? Why could a product change make sense? Because the Ink Business Cash has very similar bonus categories to the Ink Plus, except it has no annual fee. The card offers 5x points on office supply stores, internet, cable TV, mobile phones, and landlines, and 2x points on restaurants and gas stations (the difference there is that you earn 2x points on gas stations rather than hotels). The catch is that the bonus categories are capped at $25,000 per year rather than $50,000 per year, though I’m guessing that won’t be an issue for most people. That’s a no annual fee card, so if you’re open to still maintaining a $95 annual fee card, then complement the Ink Cash with the Ink Business Preferred, and then you’ll also earn 3x points on the first $150,000 of combined purchases per cardmember year on travel, shipping purchases, internet, cable, phone services, and advertising purchases made with social media sites and search engines. Furthermore, the card offers a great cell phone protection plan, and allows you to transfer points fully into the Ultimate Rewards program. The Ink Plus used to be one of the best business cards out there. While it’s still solid, in my opinion it has been outshined by the Ink Business Preferred, Ink Business Cash, and Ink Business Unlimited. If you are still one of those people who has an Ink Plus, I’d consider making the switch to one of Chase’s new Ink Cards. I think the only people who should keep the old card are those who spend nearly $50,000 per year in the bonus categories, since the cap on earning 5x points is two times as high as on the no annual fee Ink Cash. If you’re one of those people then you absolutely should keep it, but I suspect that relatively few people are maxing out those categories. Otherwise you’d come out way ahead having a combination of the other Ink Cards, in my opinion. Even if you had all three you’d pay just one annual fee, and you’d be earning a very well rounded return for all of your spend. To those who still have the Ink Plus, why do you keep the card? Any benefits I’m missing compared to the new Ink Cards? Is The Qantas Lounge LAX Overrated? Maybe this is a minor complaint, but “back in the day” is used three times in this post. You could also use phrases such as “in the past,” “at one time,”, “previously,” etc. and not have to repeat the same phrase over and over again. No thank you, I will keep my Plus and Cash, for combined 75K of 5X spending. I’m sure there are some who spend a ton on shipping and online advertising, but I’m in an industry where that spend is zero, nor do I travel for work. I would hardly call these upgrades, more like side trades. @ rick b — Totally fair, if you’re someone who spends nearly $50K per year in the 5x points categories, then the Ink Plus is still an excellent option (as I noted in the story). However. I suspect the number of people fully utilizing the 5x points category are limited. I totally max out the $50K a year thanks to the Office Depot/ Staples Visa Gitt Card Promos so therefore the $95 is worth the fee. I’m sure those that are still holding the card probably are flexing the max. Although I understand where you are coming from but most old heads understand why they are paying the AF for the card. Cheers! I’m one of the “old timers” who still have the Ink Plus. The $95 fee is more than worth the 5X spending bonus I get at office supplies stores which the other 2 Ultimate Rewards-earning cards don’t have. While the Ink cash is tempting with the no annual fee and same 5X bonus, the drawback there, which you don’t mention in this post, is that you can’t transfer that cash/points into the more valuable Ultimate Rewards without another premium UR card – which I don’t have and thanks to 5/24 may be years before I am able to get another one. So I’m staying with my Plus for the foreseeable future. 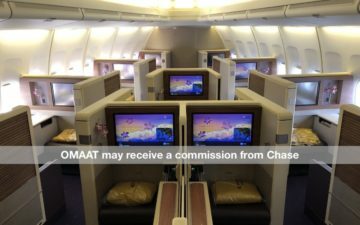 Does the Ink Business Cash allow you to transfer the points to airline miles the way the Ink Plus does. I keep it because it is my only card I have that allows me to transfer points to airlines. @ Rod Newton — It doesn’t, but in conjunction with any other card you can. If you’re not maxing out the 5x points category then I generally think you’d be better off with another card to maximize your UR points. I still have the Ink Business Plus and I’ll keep it. However, later this year I will also add the Ink Business Preferred specifically for the advertising and travel benefits. Umm it’s called 5/24. I suspect that’s preventing a lot of people from getting one of the new cards. I suspect most people with Ink Plus or Cash also have another Chase card that earns 2-3x on travel. Honestly, other than signup bonus, I see no point in getting Ink Preferred. Great post! A quick question though: If I downgrade from Ink Plus to Ink Business Cash what will that do to my 5/24 status? I’ll be eligible for a new Chase card in the fall, and am eager to get that 80K Ink Business Preferred bonus, but wondering if downgrading will only reset the 5/24 clock and force me to wait longer? @ Larry — A downgrade wouldn’t have any impact on your 5/24 status. I agree with Chris that a major perk for the Ink Plus that you didn’t mention is the ability to transfer to other partners. This card has the lowest annual fee along with Sapphire Preferred for a Chase “premium” card. 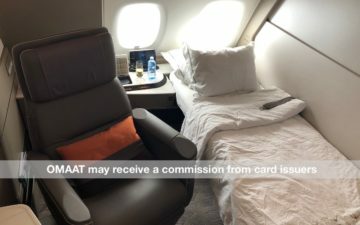 With chase limit your account to 6 cards along with 5/24, having this card allows me to drop other chase premium cards and keep hotel cards that offer better long term value such as free annual night. I actually did the opposite as you suggested and dropped the Cash one and keep the Plus. I wish I’d never downgraded my plus to a cash. Now I am forced to keep another annual fee card like the ink preferred or a chase sapphire to maintain transfers to ultimate rewards instead of having the ink plus which pulls double duty by allowing transfers while getting 5x. DONT GIVE UP THE INK PLUS!!!! You missed one other important difference between Ink Plus and Ink Cash. Ink Cash has 3% foreign transaction free and Ink Plus (and the Ink Preferred) does not. This is a fairly big deal to me. Lucky: You forgot to mention the “old” Ink Business Cash card. Was 3% cash back on Gas, Restaurants, Building Supply, and Phones, Cable, etc. Later the 3% was changed to 3X Ultimate Rewards Points. All with NO annual fee. Can’t get it now but we are grandfathered. Your thoughts? no mention that Ink Cash cannot transfer points without one of the premium cards. everything in this article just reek$. I currently have an Ink Business Plus card that I have had for quite a few years. I am tempted to apply for the Ink Business Cash (no fee) and not renew the old Business Plus card at its upcoming anniversary. Would there be any issue with earning/storing/redeeming Ultimate Rewards points with the new card? [I also have a Chase Sapphire Preferred card].